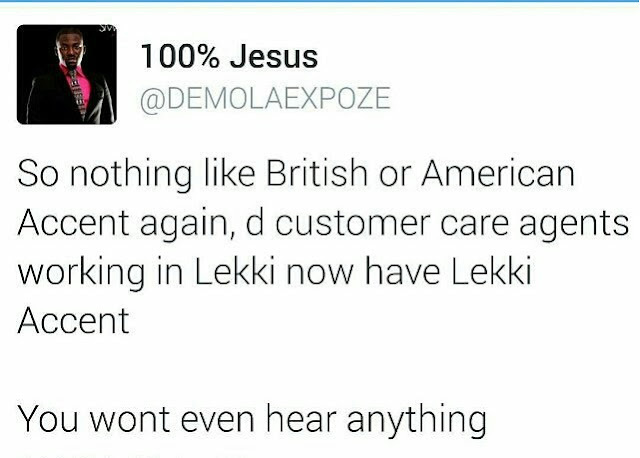 Iyalaya British ati America accent..Lekki accent ti take over! You better go and learn or don't ever come to Lekki. lool.